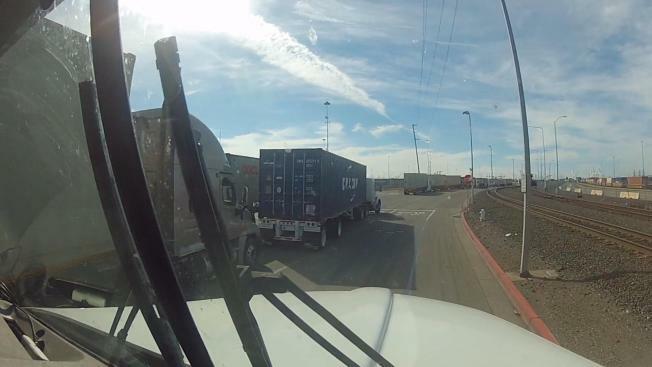 After the federal Transportation Security Administration came out with a warning Tuesday about terrorists using trucks as weapons, truck drivers at the Port of Oakland said they're on alert. It’s happening all over the world, and the Department of Homeland Security is asking truckers across the U.S. to be viligant. Many truckers at the port said they already take precautions and know now is not the time to be complacent or they could be the next target for terrorists. Truck driver Sam Espinoza said he's not surprised by the warning. "It’s the time we live in, it’s our era," he said. "You've got to expect the unexpected. You've got to be alert for something like that. It’s a reality." The latest reality check came just last month in Stockholm, when a man stole a beer truck, drove it into a crowded shopping area and plowed into a department store. A new report from the TSA says that since 2014, more than 170 people have been killed in terror attacks using trucks. Hundreds more were injured in the 17 attacks, the worst of which camein Nice, France, last year when 87 people were killed. The new advisory encourages more vigilance from the nation’s trucking industry. "There's concern that down in the field, out in the operations, people are not paying attention," former Homeland Security official David Heyman said. "There's a complacency because there's not been trucks used as weapons here." Among the recommendations: keep trucks locked while parked and in slow moving traffic.